Our employees are knowledgeable in home construction and have years of experience in the application and installation of spray foam products. All of them have completed intense training in both the field as well as in the classroom, giving you the confidence you need that the job will be done right. Our employees are also highly skilled, reliable insulation installers and project managers who have met rigorous standards for performance and work ethic. In addition to our technical installation expertise, we top of the line equipment and products to make sure that your home is insulated properly. We utilize blower door testing as an in-house diagnostic and quality assurance tool. This equipment gives us the ability to diagnose existing problems, quality-assure our installations as the work is being done, and verify and quantify the quality of our installations. Before and after project testing sets us apart from traditional Virginia insulation contractors as well as other polyurethane contractors. We stand behind our spray foam insulation services from beginning to end and are committed to your satisfaction for each and every project. Our goal is for you to be comfortable at home and comfortable with us. 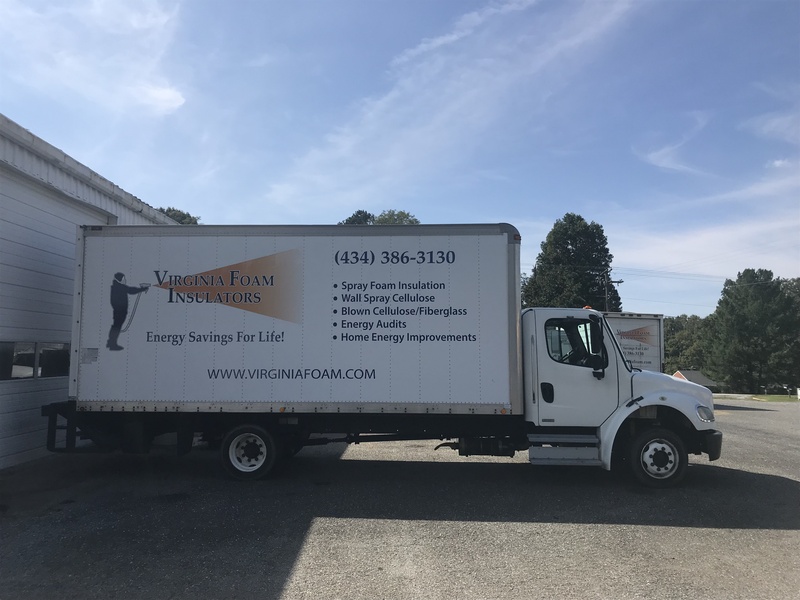 Contact us today at 434-386-3130 to schedule an appointment to review your insulation needs. Completed Jobs as far away as Georgia! Are you interested in decreasing your energy usage in your home? Contact us today for a free consultation for your attic, crawl space, home, or new construction!